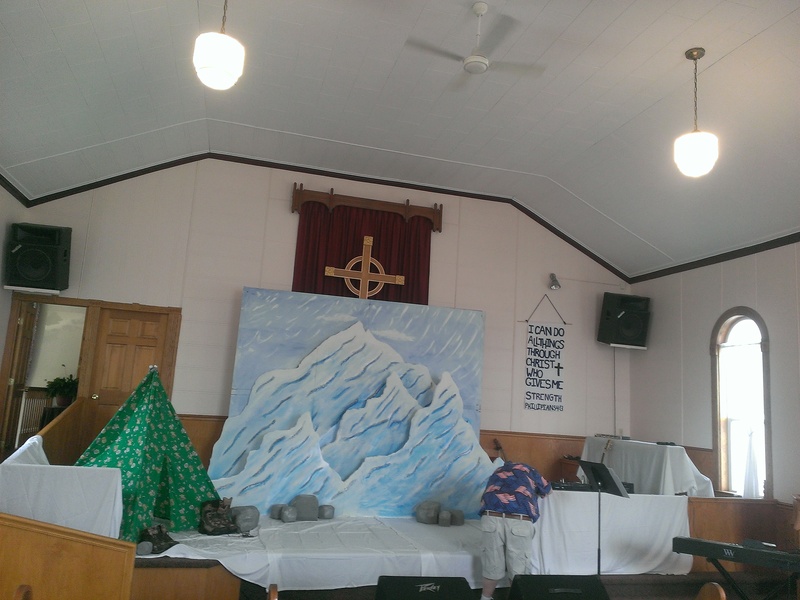 The set is almost ready – now we wait for the children to come and have a great time. New music to learn, new Bible stories to hear and learn about, new friends to make…. We’re looking forward to seeing you and having a great time.